Protectowire Linear Heat Detectors provides superior coverage. More reliable and lower maintenance cost compared to conventional detectors. 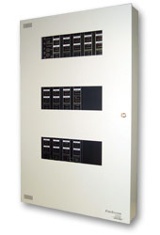 Types available for virtually any environment. FM Approved and UL Listed. 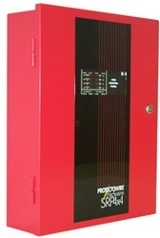 Identify Alarm Point Location with suitably configured control panels. Protectowire Linear Heat Detector, the main component of our linear heat detection systems, is a proprietary cable that detects heat conditions anywhere along its length. 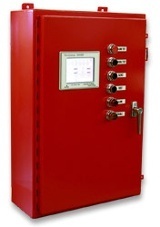 Available in a range of alarm temperatures and jacket models to suite a vast array of fire detection applications. 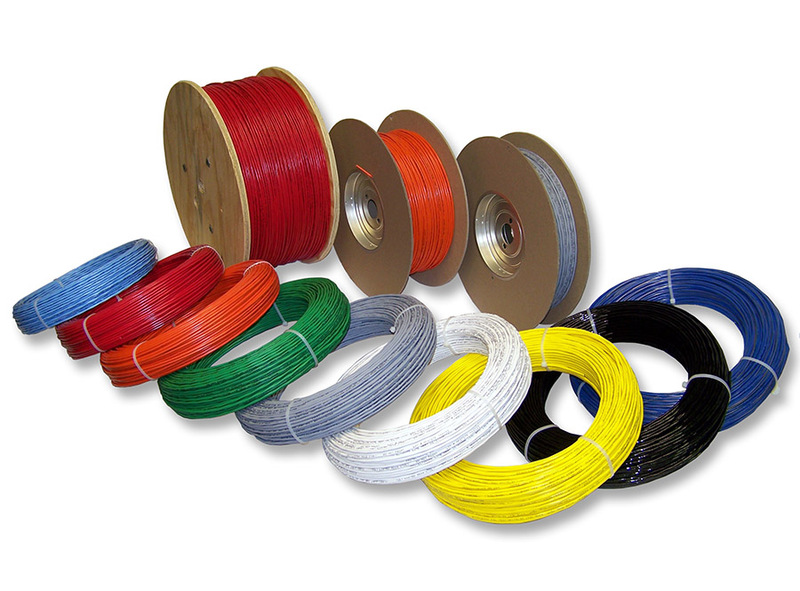 The sensor cable is comprised of two steel conductors individually insulated with a heat sensitive polymer. 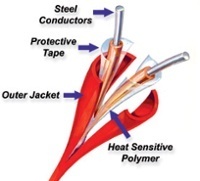 The insulated conductors are twisted together to impose a spring pressure between them, then wrapped with a protective tape and finished with an outer jacket suitable for the environment in which the Detector will be installed. If a portion of the Protectowire Linear Heat Detector is exposed to heat above it's rated alarm temperature the heat sensitive polymer breaks down and a short occurs at that point. This bypasses the end line resistor greatly increasing the current flow through the loop. The monitoring circuit is configured to treat this as an alarm condition.